Medical malpractice can be in the form of hospital negligence, which can result in death and serious injury. Many people die each year or suffer from serious injury from hospital negligence by doctors, nurses, and other medical personnel in a hospital setting. Common examples of hospital negligence include the hospital maintaining unclean or dangerous facilities, hospital personnel failing to adhere to hospital policy and procedures, discharging a patient from the hospital too soon because the insurance has run out, discharging a patient from a hospital because he/she has no insurance, or failing to treat a patient because of the insurance status. Even if the mistake was made by a single health care provider, the hospital may bear liability for the wrongdoing of its employees. Individuals can suffer large physical, financial and emotional losses as a result of hospital negligence. 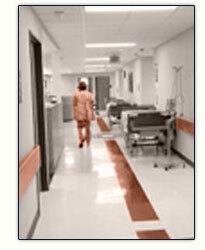 The Dallas Medical Malpractice Law Firm has successfully litigated many cases involving hospital negligence. If you need a Dallas medical malpractice attorney call The Law Firm.